You’ve heard it all. Soda is bad. Too much alcohol is bad. In excess, so is coffee. Juice? Forget it. And don’t even think about ordering that large milkshake. It seems like every day, an expert pops into your news feed to let you know your favorite drink is terrible for you. You’re just trying to live your life, stay hydrated, and enjoy your coffee! You know you need to drink more — but what are you supposed to drink if you can’t have what tastes good? We settle for bottled and fountain drinks because they are easy, and sometimes, extremely cheap. We get them even though we know they aren’t good for us. However, when we start replacing unhealthy drinks with healthier ones, everything changes. Suddenly we realize we can quench our thirst without all the other unwanted ingredients mixed in. Read on to find out how. Let’s start off looking at all the drinks you should not turn to when you’re thirsty and need something refreshing to drink. The last thing you want to do, when you need to drink something is to pour sugar down your esophagus. There are a lot of drinks out there hiding calories — why choose them, when you could go for something low-cal — or even better, cal-free? Soda is unhealthy — you know this. It’s important to remember, though, that the easiest way to wean yourself off soda isn’t to drink less — but to drink something else in place of it. And if you thought you could rely on diet soda as a healthy substitute — you’ve been deceived. Most diet sodas contain artificial sweeteners, which experts still worry could negatively affect your health in the long-term. Soda may be fizzy and delicious, but it’s not worth the sugar, or the calories, or the probably dangerous dyes and fake flavorings. Do you really need energy from a bottle? Energy and sports drinks are extremely high in sugar and calories. While this might be good for a marathon runner who’s just endured the heat for an hour or so to train for a race, it’s usually not good for anyone else. You’re not only rehydrating — you’re also replenishing salt, calories, and sugar. Unless you’re an athlete who really needs it, try to steer clear. Some of the most sugar-saturated, calorie-dense drinks are blended coffee beverages, like Starbucks Frappuccinos. Coffee that’s flavored with syrup — with whipped cream and chocolate or caramel drizzle on top — is more of a shake than coffee. You are much better off sticking with black coffee, with a little cream and sugar to taste. Fruits and vegetables are healthy, so drinks made from them should be, too — right? Unfortunately, most of the nutrition you will find in fruits and vegetables comes from the peel and the flesh. When you squeeze juice out of an orange, for example, you’re getting a whole lot of sugar — but leaving most of the orange’s nutrition behind. Even if juice is made with 100% fruit, it has way more sugar in it than you need to consume through a drink on a regular basis — especially for breakfast. Now, let’s be clear — alcohol, in moderation, isn’t a bad thing. Consumed in excess, though, it can load your system with extra calories and sugar — and it can definitely dehydrate you fast. Mayo Clinic says moderate drinking includes one drink per day for women and two drinks per day for men under 65. 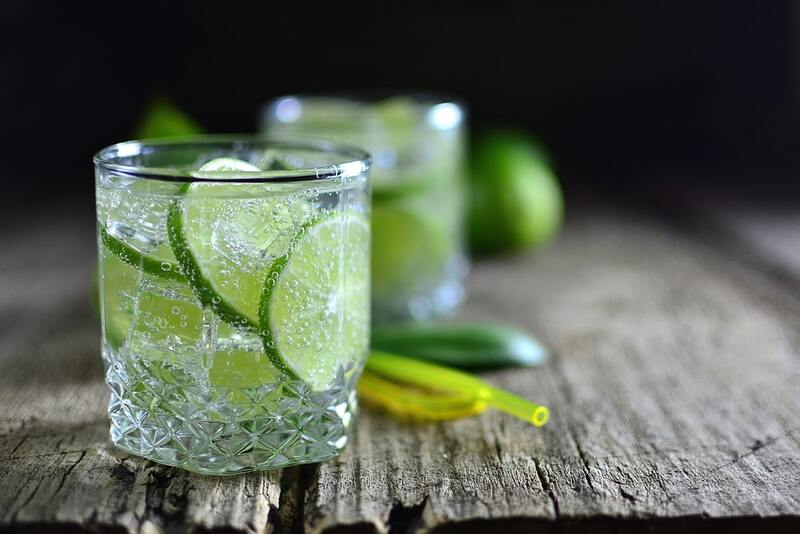 Try to avoid drinks like cocktails, which often result in drinking more sugar than alcohol. Want to know more about what to drink to stay hydrated? These sugary drinks will sabotage your weight loss goals — and might even make you thirstier. Here are a few drinks you can try that will keep you hydrated without adding too many calories or too much sugar to your diet. You can make many of them at home — and we’ve provided some easy-to-follow recipes to make it simpler to do this. Flavored water sounds tempting — and delicious. But did you know you can add flavor to your water without buying it from a bottle? 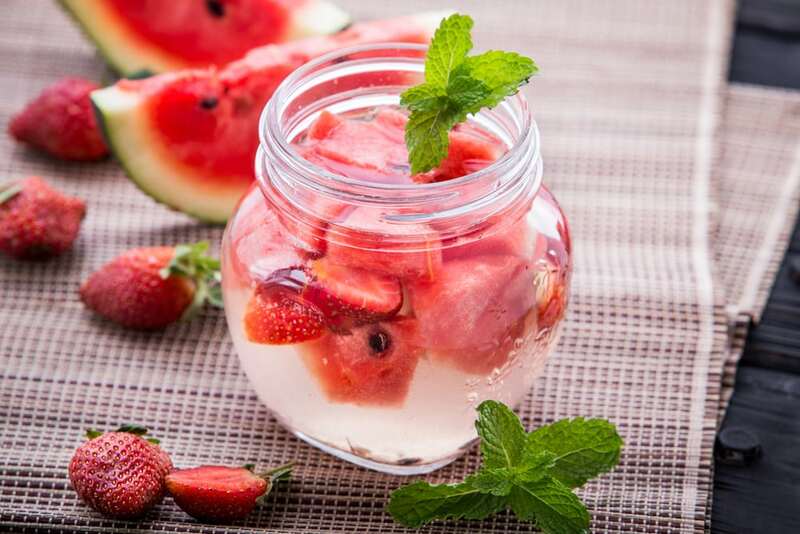 You can easily add fruit to plain water and let its natural flavor soak into your glass. You can use any fruit you want — here’s a simple and tasty example. Add fruit to a large pitcher of water. Add ice to the pitcher and serve. Venture back to your childhood summers, filled with lemonade stands galore. 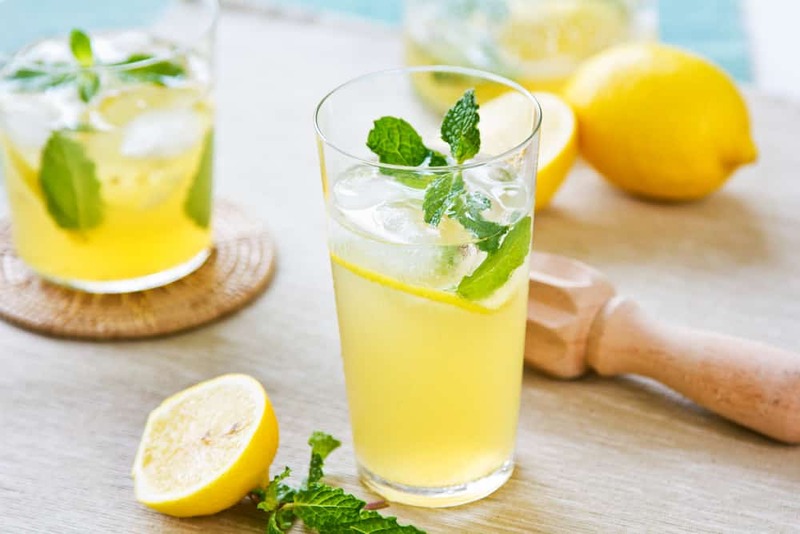 While lemonade does have sugar in it — it wouldn’t really be lemonade without it — a glass of lemonade is much healthier than a glass of artificially sweetened soda. If you have leftover strawberries from your infused water, you can even add a unique spin to this classic drink. Blend strawberries, 2 tablespoons sugar, and 1 cup water until juiced. In a large pitcher, combine strawberry juice, 1 cup sugar, 6 cups water, and lemon juice. Stir until blended and chill before you serve. 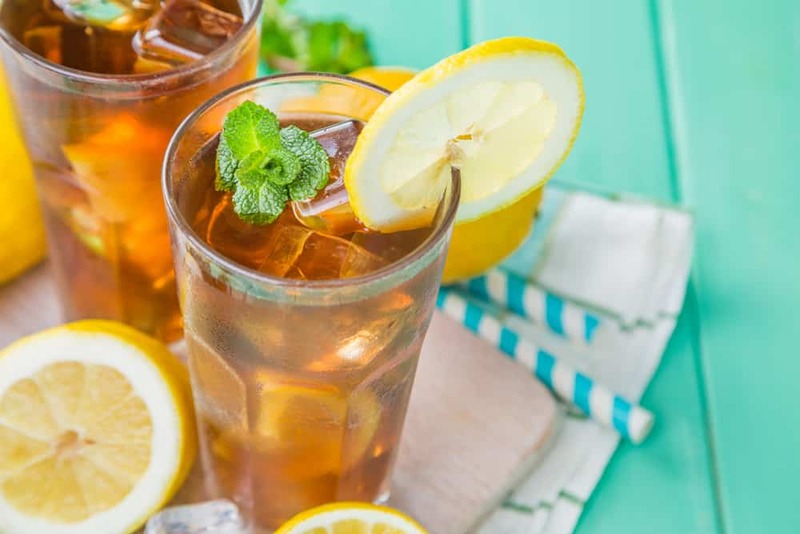 As long as it’s unsweetened, iced tea can serve as an extremely healthy and refreshing drink. You can use whichever type and flavor you want to ensure your tea tastes exactly how you want it — without the extra sugar, of course. Here’s how to do it: Combine 8 cups of water (to make 8 cups of tea) and 6 tablespoons looseleaf tea/10 tea bags in a large pitcher. Cover it and let it chill in the refrigerator for at least 15 hours, up to 36, depending on how strong your preference. Strain the looseleaf tea or remove the tea bags after chilling and enjoy! Follow Teavana’s guide to learn the steeping temperatures and times of different types of tea if you want to make it hot first. Your first instinct, when you’re craving cold flavored coffee, is to head to the nearest coffee shop. It’s cold, it’s quick, and it tastes great! It’s also usually made with some kind of syrup, and you don’t get to control how much milk they use. 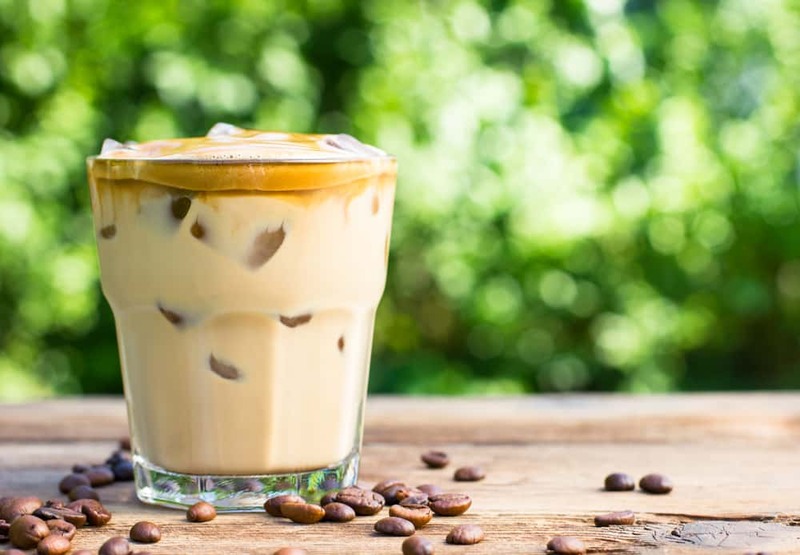 You can make healthy and great tasting iced coffee in under five minutes at home. Just follow this simple recipe. Fill a tall glass 2/3 of the way with ice. Add cream and vanilla first, then pour in the coffee and stir everything together until combined. Obviously, if you want to cut out all sugar, calories, and potentially harmful chemicals from your drinks, you’ll want to choose water. 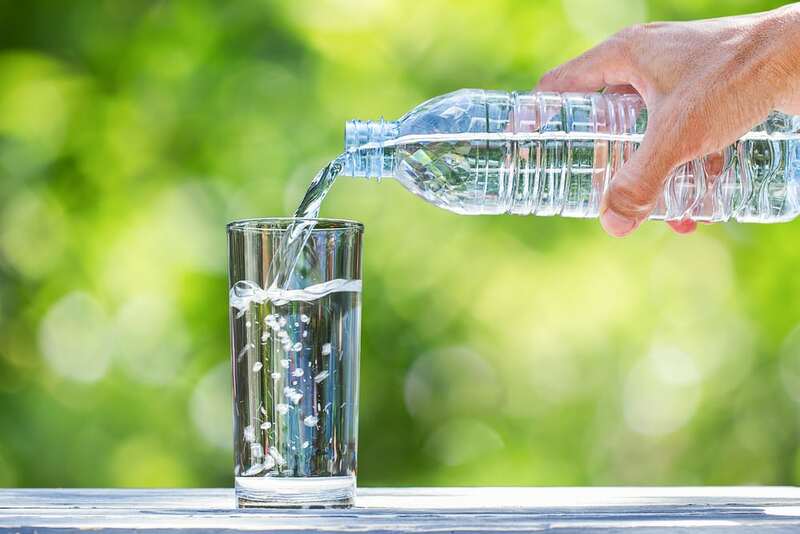 Plain, filtered water isn’t everyone’s favorite, but if you’re fortunate enough to live where the local water is safe to drink, take advantage of the luxury. Water helps rid your body of toxins, keep your organs functioning, and even protects your brain from your skull. Do you need eight glasses of water per day? Ideally — but you may also get a good portion of that from your food. It might help to have at least one glass of water with every meal to make sure you’re covering your bases. Just don’t overdo it, though, since going overboard can do as much damage as not having enough fluids in your system. Don’t like plain, “boring” water? Craving that sweet carbonation you’re apparently not allowed to have because, remember, soda is bad? It’s sparkling water to the rescue! Plain, filtered water gets its fizz from a little pressure (literally) and carbon dioxide. Many people add it to juice, and you still can — just keep it limited to an occasional glass. After this long list of beverages (are you thirsty yet? ), you’re probably wondering what the big deal is. Why do you need to stay hydrated — and what are the dangers of not keeping enough fluid in your body? The damage that could result from extreme dehydration is more severe than you think — here’s why. According to Harvard Health Publications, every single system in your body depends on fluids to keep it running. This includes your brain, your heart, and even your muscles. Fluid is a vital part of making sure nutrients get delivered to your cells, and bacteria gets flushed out of your body. Fluid also regulates your body temperature, lubricates your joints, protects your brain, and keeps your muscle tissue from breaking down. Most importantly, drinking enough fluid makes sure your heart can continue pumping blood to the rest of your body — which is pretty important, since without that process, you wouldn’t be reading this right now — you wouldn’t be alive. Now you know what to drink to stay hydrated and why it’s important — but how do you know when you need it? Courtesy of Everyday Health, here are a few key signs you need to drink some water ASAP. Dry skin. When you aren’t drinking enough, your blood volume decreases. Since there isn’t enough fluid to hydrate your skin, it dries out. If you notice you’re reaching for a bottle of lotion to moisturize your skin, also think about when you last had a drink of water (or something equally refreshing). Headaches. If you aren’t prone to frequent headaches, and you can’t seem to get rid of your current one, you might have gone a little too long without something to drink. Your brain lives in a sac of fluid. Guess what happens when you don’t keep that sac filled? Your brain, usually protected by plenty of fluid, starts pushing up against your skull. Ouch? Muscle cramps. There are two reasons your muscles might start to ache, signaling you need to hydrate. One has to do with electrolyte balance, which maintains itself as you keep hydrated. The other has to do with heat — if you don’t drink to cool off, your muscles react negatively to your elevated body temperature. The easiest way to check your hydration levels is by simply looking at your urine — especially first thing in the morning. If you’re adequately hydrated, your urine will appear mostly clear. Think something close to the color of lemonade. If your urine’s color is closer in appearance to apple juice, you’re severely dehydrated — you should drink something immediately. Anywhere in the middle, you should make sure to keep sipping on a drink to avoid things getting any worse. Drink water with your meals. This will not only help you stay hydrated, but it might also persuade you to eat more slowly — and less! The great thing about water is that it goes with any food, even dessert. Invest in a reusable water bottle. This is helpful when you’re thirsty and feel tempted to stop at a drive-through for an ice cold soda drink. You can look down at your cupholder and think, “Well, I already have something to drink. Maybe I don’t need to spend money on something else.” Reusable water bottles are economical, environmentally friendly, and extremely convenient. Download an app that tracks your water intake. Most people need between 80 and 100 ounces of water per day. While some of this might come from your food, setting and keeping track of a daily goal is a great way to hold yourself accountable. Watch what you’re snacking on. Foods like chips and pretzels are very dry and don’t contain very much fluid. If you want your snacks to hydrate you, eat foods like fruit, yogurt, or a healthy homemade smoothie. 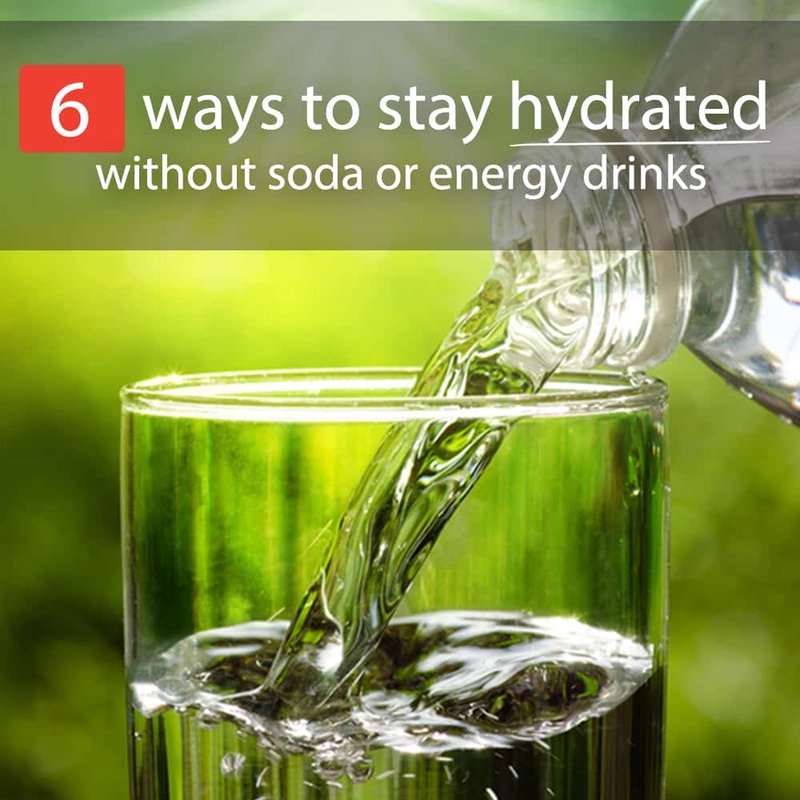 It is possible to stay hydrated and avoid drinks that are high in sugar and calories. Just choose drinks that are tasty and refreshing without all those added (and unnecessary) ingredients. The more yummy drinks you can make in the comfort of your own kitchen, the better. Keep your body running at full capacity — and enjoy what you’re sipping, while you’re at it. An entire cup of sugar for lemonade? Even Coke must contain less sugar than that! Gross!